The Bank of America® Travel Rewards® Credit Card is a popular travel rewards credit card with a simple, straightforward rewards program and some attractive perks for current Bank of America® deposit accountholders. Unlike many travel rewards cards, which limit point redemptions to purchases made with specific airlines and hotel brands, Bank of America® Travel Rewards points can be redeemed for statement credits to offset virtually any travel purchase. 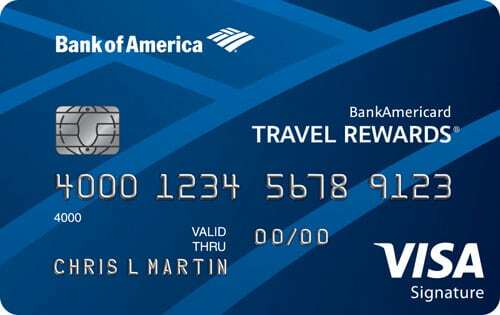 Bank of America® Travel Rewards competes with a number of other general-purpose and brand-specific credit cards, including the Capital One Venture Rewards Credit Card, Expedia+ from Citi, and Chase Sapphire Preferred, among others. When you spend at least $1,000 within 90 days of opening your account, you receive 25,000 online bonus points. That’s worth $250 in statement credits for travel. The Bank of America® Travel Rewards Credit Card earns an unlimited 1.5 points per $1 spent on every eligible purchase. Points are always worth $0.01 apiece at redemption. They can be redeemed for statement credits to offset any travel purchase, including car rentals, airfare, vacation packages, cruises, hotel rooms, and incidentals such as baggage fees. If you have a Bank of America® deposit account in good standing, you automatically receive a 10% points bonus on all point earnings. If you have more than $20,000 on deposit with Bank of America® and therefore qualify as a Preferred Rewards client, you get a higher bonus according to your Preferred Rewards tier: Gold ($20,000 to $50,000) earns a 25% bonus; Platinum ($50,000 to $100,000) earns a 50% bonus; and Platinum Honors ($100,000-plus) earns a 75% bonus. This card allows you to link an existing Bank of America® deposit account to your credit card account to prevent overdrafts. 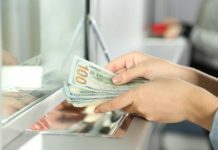 If you overdraft your deposit account, your Bank of America® Travel Rewards card is charged in $100 increments – in other words, you’d be charged $200 for a $150 overdraft. Each overdraft incurs a $12 fee and then accrues interest at the maximum cash advance rate. Bank of America® Travel Rewards has a 12-billing-cycle 0% purchase APR. There is no introductory balance transfer APR promotion. After the introductory period ends, the regular purchase APR ranges from 17.24% to 25.24%, depending on your personal creditworthiness and prevailing interest rates. The balance transfer APR falls within this range from day one. There is no annual fee or international transaction fee. Balance transfers cost the greater of $10 or 3% of the transferred amount, while cash advances cost the greater of $10 or 5%. Late payments cost $37, while returned payments cost $27. This card requires good to excellent credit. A few minor credit dings likely won’t disqualify you from consideration. Simple, Straightforward Rewards System. Bank of America® Travel Rewards has a straightforward, easy-to-understand rewards system. You earn 1.5 points per $1 spent on all eligible purchases, every day. On the redemption side, you simply choose which purchases you’d like to redeem accumulated points for and you then receive them in the form of a statement credit. Hotel- and airline-specific credit cards are typically much harder to understand, as are platform-specific cards such as Expedia+ from Citi, which only allows you to redeem accumulated points for purchases made through Expedia. Very Good Sign-up Bonus. This card’s 25,000-point sign-up bonus is worth $250 in travel statement credits and requires spending just $1,000 to attain. This is a pretty impressive introductory bonus for a no-annual-fee card. No Annual Fee. Bank of America® Travel Rewards Credit Card doesn’t charge an annual fee. That’s great news for frugal cardholders, and a big differentiator from such general-purpose travel rewards cards as Capital One Venture Rewards ($95 annual fee, waived in the first year) and Barclaycard Arrival® Plus World Elite Mastercard® ($89 annual fee, waived in the first year). Nice Purchase APR Promotion. Bank of America® Travel Rewards Credit Card has a 12-billing-cycle 0% purchase APR promotion. This is great news if you’re planning to use this card to finance a major trip or other big upfront purchase right off the bat. The Expedia+ Card and the Citi Hilton Honors Visa Signature Card don’t have any purchase APR promotions at all. Nice Point Bonuses for Bank of America® Deposit Account Holders. If you’re a current Bank of America® deposit accountholder, you’re entitled to an automatic 10% bonus on all points earned with this card. And if you have more than $20,000 on deposit with BoA, the bonus increases significantly – up to 75%. Limits to Rewards Earning Power. All eligible Bank of America® Travel Rewards Credit Card purchases earn 1.5 points per $1 spent. That’s not bad, but not the best on the market either. If you spend more heavily and are willing to accept an annual fee, numerous competing cards earn points faster. For instance, Capital One Venture Rewards ($95 annual fee) earn 2 points per $1 spent, and usually value points at $0.01 apiece. No Balance Transfer Promotion. This card’s purchase promotion isn’t paired with a balance transfer promotion. This is a drawback for new cardholders who’d like to be able to transfer existing high-interest balances to this card. Competitors such as the Capital One VentureOne Rewards Credit Card do have balance transfer promotions. Has a Penalty APR. Bank of America® Travel Rewards charges penalty APR. This is a detractor for cardholders who occasionally miss payments. If you don’t want to be penalized (possibly indefinitely) for missing a payment, choose a travel rewards card without a penalty APR, such as Discover it Miles. When it comes to travel purchases, the Bank of America® Travel Rewards® Credit Card doesn’t discriminate. At redemption time, points are worth the same whether they’re redeemed for statement credits offsetting a domestic airfare ticket, a multi-day car rental, a baggage fee, or a special vacation package – no matter how any of those items were purchased. Even if Bank of America® Travel Rewards isn’t the most generous travel rewards card around, there’s much to be said for such straightforwardness and flexibility. The Bank of America® Travel Rewards® Credit Card is an ideal card for budget-conscious regular travelers with moderate spending needs and no strong travel brand preferences. It’s also useful for people who don’t need to book through a specific site or platform, such as Kayak. This card isn’t ideal for very frequent travelers and heavier spenders who don’t mind paying annual fees, as many competing fee-based cards offer better rewards for bigger spenders and those willing to redeem with specific travel brands. This card’s straightforward rewards system, the strong sign-up bonus, lack of an annual fee, and attractive Bank of America® customer benefits are all big perks. 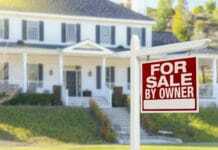 Its drawbacks include a moderate earning pace for most purchases, lack of a balance transfer promotion, and a penalty APR. Overall, it’s a great general-purpose travel rewards card for those averse to annual fees and choosing specific travel brands.